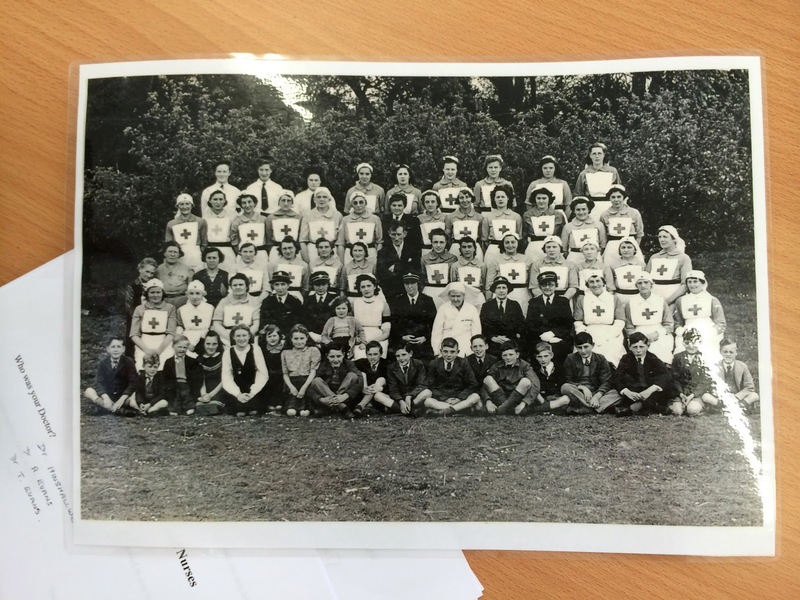 The Costessey Memories exhibition has just ended its month-long run at The Costessey Centre. During this time, we estimate, conservatively, that over a thousand people have taken time to look at it. We would like to thank the staff at the centre for being so welcoming and allowing us to share our memories here. 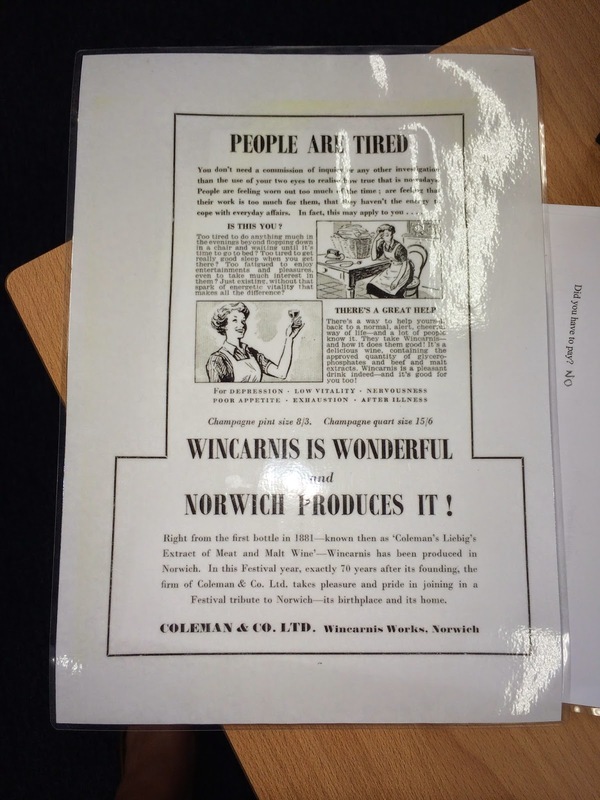 Next Tuesday, it will be moving to the Museum of Norwich at the Bridewell, where it will be for two weeks. During that time we are going to be having an invitation-only private view of the exhibition as a way of formally celebrating the success of the group. 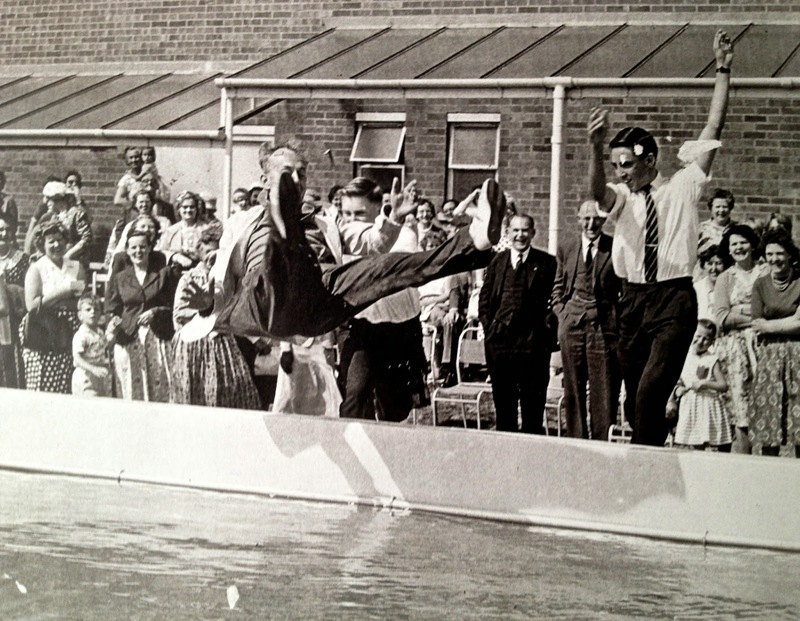 Looking at the last two photographs, we too hope to make quite a splash with our Bridewell exhibition! 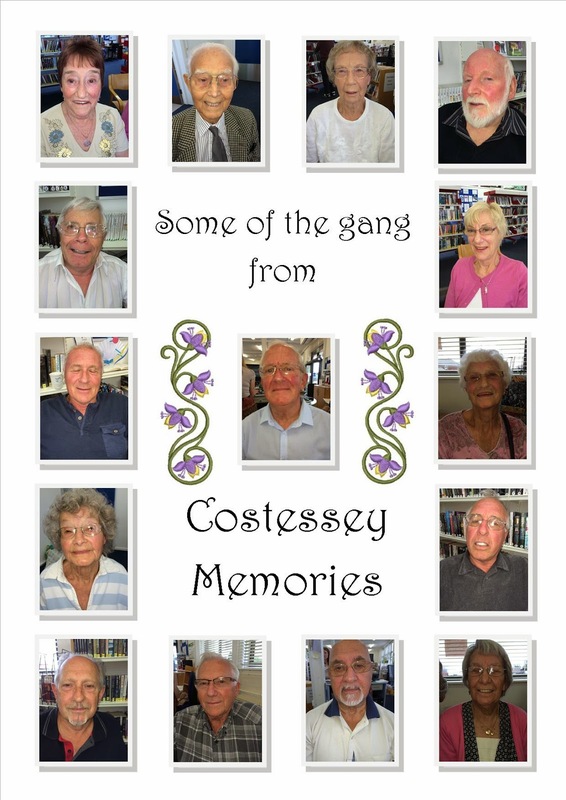 Below, you will see the wonderful & knowledgeable contributors (maybe you will recognise some or all of them) to Costessey Memories. It's been so entertaining so far to listen to their fondness of Costessey as a village & now a suburb of Norwich City itself. Without these fantastic people the group would not exist & we thank them for giving up their spare time to offer you, the public, their knowledge & insight about Costessey from yesteryear! Today's session was to archive any extra photographs, books, documents etc which the members have brought in. These latest items sparked numerous new conversations, particularly the changing infrastructure around the roads and housing. Bunkers Hill has changed quite dramatically from the odd wooden cottage to now numerous modern homes. Many roads in Costessey back then were just dirt tracks but of course now are more established. 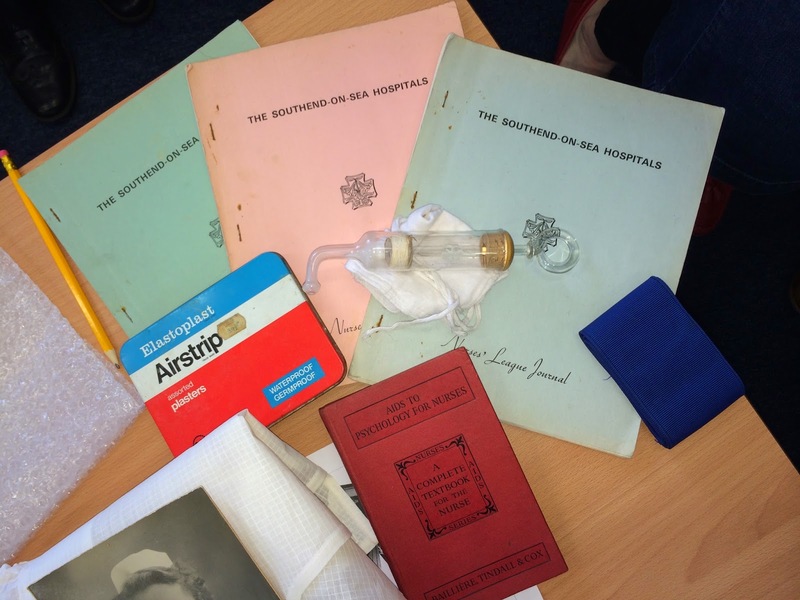 Sarah and Stephen brought along numerous items, including photos, advertising, nurses hats, to loosen the memories of the group with regard to Costessey's local GP surgery, the local nurse and midwife. A questionnaire has been distributed around the group, asking for each members' input. 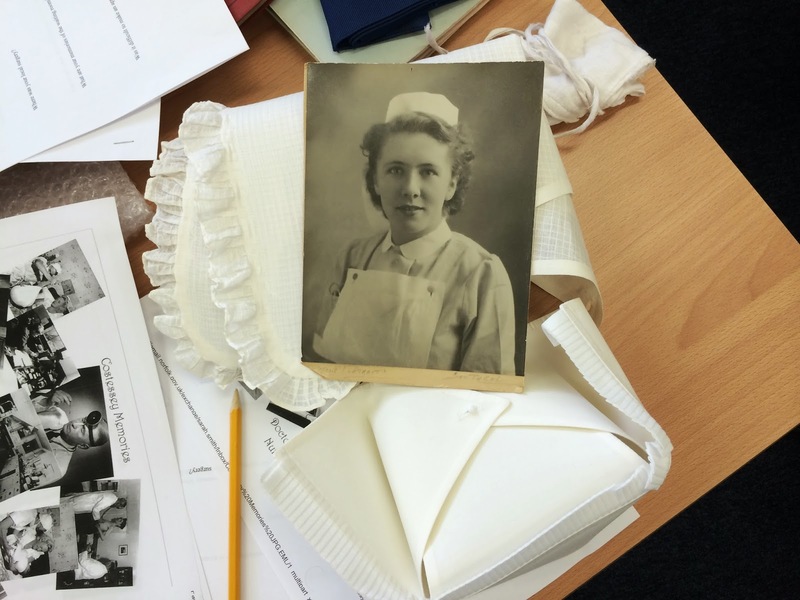 Many members had vivid memories of a stern Nurse Mason, working from her own home close to the oval public house, and of Dr Henchellwood's surgery on the Norwich Road and how he remembered each patients' records, and wrote nothing down. Most babies were born at home, many again being delivered by Nurse Mason. 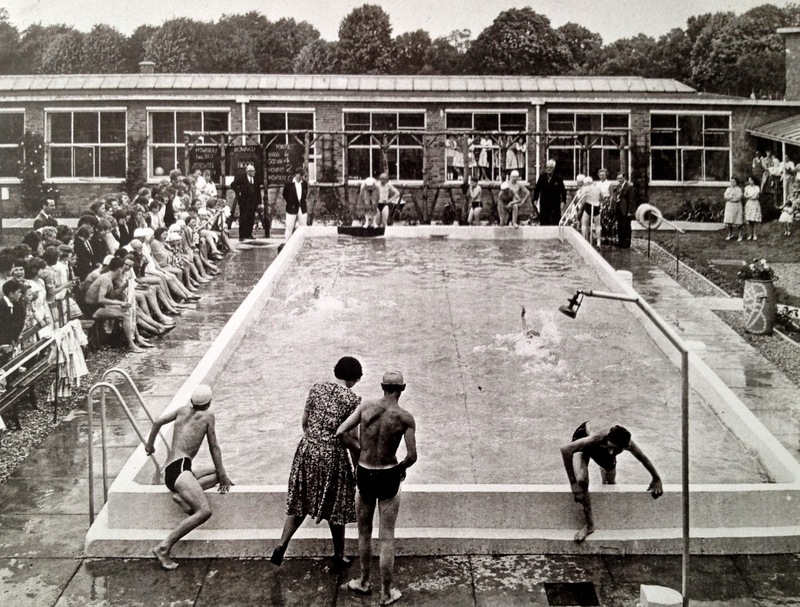 Very few members can remember paying for the doctor before the introduction of the NHS, but those who could, or parents did, remember paying into a private insurance scheme. 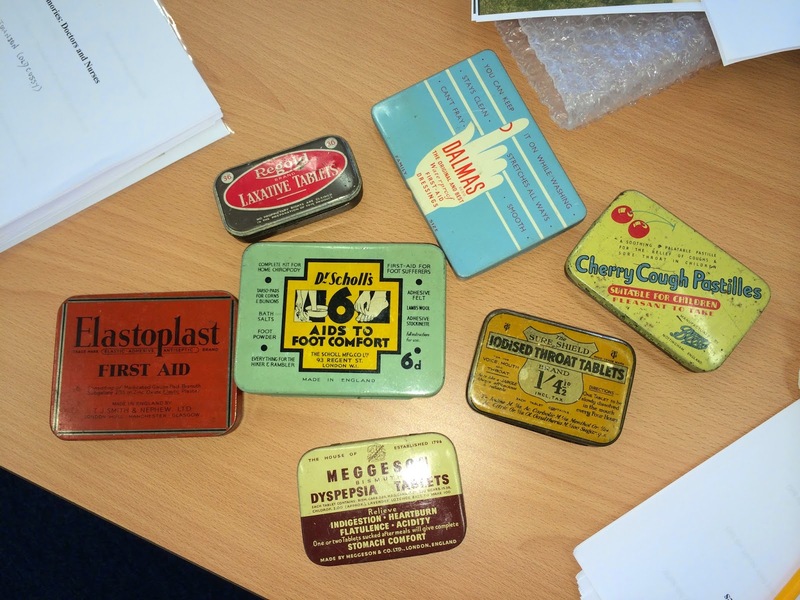 At last Monday's session Lynn bought in various reminiscence items relating to shopping. The group talked about memories of shops in the Costessey area. 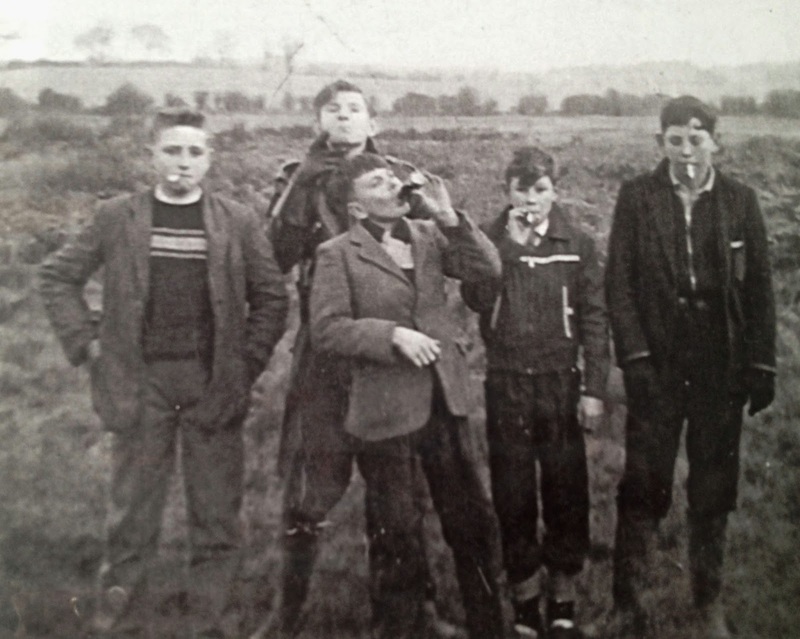 The men talked about the haircuts they got from Mr Skipper, David's father, boys comics and broken biscuits. The ladies remembered the blue bags and starch which they often bought and used for many different purposes - including bee stings! There was much discussion around Green Shield Stamps and the Co-op dividend-something even the youngest members could recall. 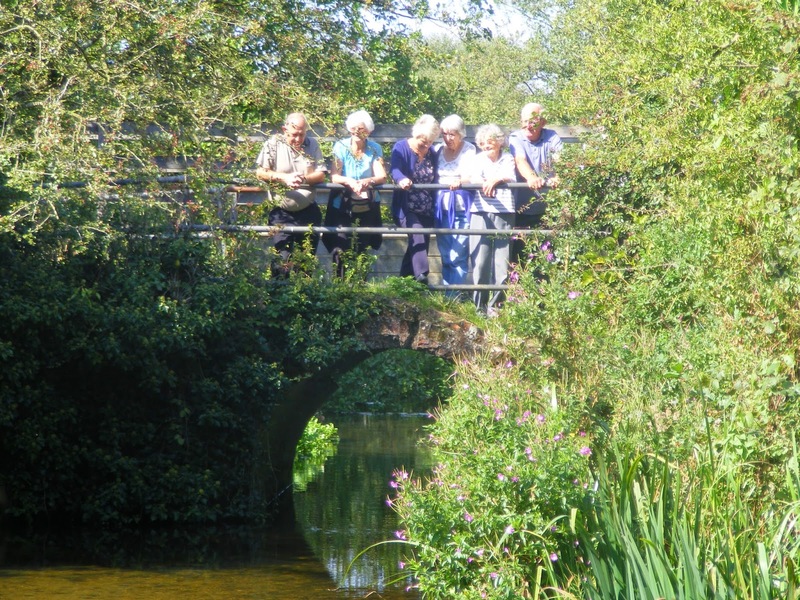 'Costessey Memories' is a group open to people who want to learn more about the history of the Costessey area. We encourage members to share their memories. If you are new to the area, you are welcome to come and join us.